Bringing together our community of engineers, artists, producers and academics with the most innovative partners, we are inviting the pioneers of the future to join us for a series of Abbey Road Red Hackathons to explore some of the questions facing the creative industries. 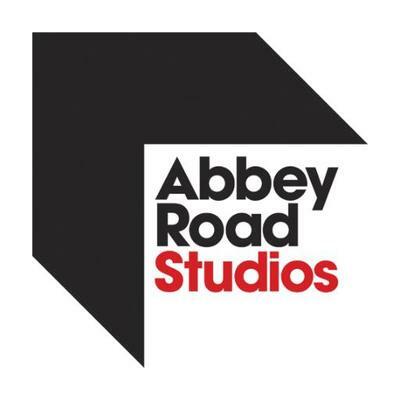 Our first Hackathon will be held in Studio One at Abbey Road on 10-11 November. Helen Sartory is an artist-producer and emerging technologies advisor currently involved in a range of projects across startup incubation, music technology and immersive performance. She recently joined the team at Abbey Road Red to help produce their first Hackathon. Read about her experiences from the 36 hour tech-fest. Martine-Nicole Rojina, trans-disciplinary artist in residence at the Dwingeloo Radio Observatory was part of our Abbey Road Red Hackathon. She shares her story of Sister Moon live at Abbey Road and how she bounced around 50 visionaries from the surface of the moon from the isolation booth of Abbey Road's Studio One. Enjoy the best moments of our inaugural Hackathon showing some of the most unexpected collaborations and innovative performances, beautifully accompanied by PREM’s composition '2030'. Agile, minimum viable product, Kanban, majority of Red friends, mainly from a high-tech world, would instantly relate those terms to software development. Almost a fortnight since our inaugural Abbey Road Red Hackathon, our participants, mentors and partners have started to share their experiences from the historic weekend. - How will artists create music in 2030? What tools, instruments, mediums will they be using? - Shazam for Samples: Can you use computer vision or speech recognition to create Shazam for Samples? Can you dynamically change the sample to fit the track? - Could you train AI to ‘play music’ and jam with you based on cues? Sing a duet and use Cognitive Services to trigger different effects and sounds when it identifies a particular person’s voice. - Can you play or create music using emotions to trigger different sounds, samples, parameters or effects? Our brief is open and we will inspire you with more precise questions on the day, but anyone who creates a concept moving us into the future of music making will have a chance to win one of our amazing prizes. Microsoft is excited to collaborate on the Abbey Road RED Hackathon and work with creative artists and technologists to transform the way we create and experience music. Putting the latest tools in the hands of the most forward-thinking creators to discover new and unexpected uses of Microsoft AI technology. Over the course of the 24-hour hackathon, Microsoft mentors will assist competitors with AI capabilities (for example using your voice, facial recognition and object detection, emotion recognition, and sentiment analysis) as they innovate toward solutions for challenges in the music business, whether fan facing, artist empowering or industry evolving. Miquido (https://www.miquido.com) is focused on building data-driven apps and web services. They have delivered 100+ products for music & video streaming, m-commerce, FinTech, and other demanding industries. At Miquido, they don’t want to stop at witnessing the change. They are building it, and want to be part of technological progress, addressing enterprises and tech innovators — that’s why they just couldn’t miss Abbey Road Red Hackathon. They are excited to help you with Machine Learning, new frameworks, and mobile apps development to reinvent music creation with the UX-first approach. Miquido is 2018 Android Certified Agency, covered by Time & Forbes, and named Top 2018 Mobile App Development Company in the UK. Their solutions, including Abbey Road Topline app, are featured in Google Play and App Store. Technology has been at the heart of music creation for a long time, and the music industry has been more transformed by the internet era than almost any other sector. Now today’s digital innovations offer amazing opportunities for artists and their listeners to inspire a whole new musical experience. So much musical creativity has taken place at Abbey Road over the years, and Computer Weekly is excited to support a new generation of artists and digital pioneers in their efforts to further reinvent the industry. Developers will have pre-cleared access to 14k UMG audio streaming tracks. Artists included in this catalog include old and new, and cross genre: Frank Sinatra, Michael Jackson, Elton John, Diana Ross, Neil Diamond,Imagine Dragons, Halsey, Rihanna, Maroon 5,Hans Zimmer, Andrea Bocelli, John Williams. Infuse apps, websites and bots with intelligent algorithms to see, hear, speak, understand and interpret your user needs through natural methods of communication. Transform your business with AI today. The JUCE Framework is the complete solution for developers wishing to create cross-platform audio applications and plug-ins. As used by industry leaders such as Waves and Korg, the beauty of the JUCE Framework lies in its ability to deploy your project across Mac, Windows, iOS and Android operating systems from one code base, and if you're building plug-ins, JUCE can easily export to VST, AU, and AAX formats. Joshua Hodge (Developer Community Manager at JUCE) will provide an introduction to the JUCE Framework, outlining its benefits and providing some basic tips on how to get started. WhoSampled is the world's largest music discovery service focused on sample-based music, cover songs and remixes. Other services and apps can now add their music DNA metadata and technology to create thrilling music discovery experiences across multiple platforms and territories. WhoSampled's music DNA metadata and technology are flexible and can be integrated quickly and easily into any other service or app by using our API. Chirp is a wireless communication technology for exchanging data between nearby devices via sound. It uses any existing speaker or microphone, and is configurable to use audible or inaudible near-ultrasonic frequencies. Chirp is designed for simplicity, eliminating connectivity headaches and simplifying everyday tasks like connecting to Wi-Fi networks, sharing contact details, and making peer-to-peer payments. It's trusted by companies and developers across the world, from nuclear power stations to children's toys. Chirp's Explorer Board is the first designed exclusively for data-over-sound allowing for quick prototyping and building. The Chirp Explorer Board, based on the Arm Cortex-M4 CPU with in built DSP for optimised audio processing, will allow developers to quickly and easily leverage data-over-sound technology in embedded scenarios, which can be integrated into consumer and industrial products at low cost. Bare Conductive produces a suite of printed electronics products that enable individuals and companies to integrate electronics directly into the environment. Their conductive paint and easy-to-use development kits let anyone prototype their electronic visions of the future. Bare Conductive will be supporting Hackoustic’s hardware hacking space and providing Touch Boards and Pi Caps for teams to experiment with. Hackoustic will be providing a hardware hacking den complete with 3D printers, tools and supplies, plus support and mentorship for any teams that take on a hardware challenge. They will also be building their own installation overnight to be unveiled at the judging ceremony! Ambimusic is a cloud based music management system for businesses: it allows to play fine-tailored music for public spaces, restaurants, hotels and every place where the right music background matters. Ambimusic's CMS allows the control of a virtually infinite fleet of background music players, each playing a specific background music. Ambimusic will provide free access to their CMS and cloud-based storage for teams participating at the Hackathon. Quantone is the home of music metadata. Our API provides powerful search features, enabling browsing and navigation from labels, locations and works, alongside participants, recordings and album. Creative Commons encourages the reuse of creative works by offering them under generous, standardized terms. AudioCommons is an EU funded project that provides access to Creative Commons licensed audio and develops search, retrieval and audio production tools embedded in Digital Audio Workstations and sound design software. Our API offers the largest collection of audio content from Freesound, Jamendo and Europeana sounds including sound effects, field recordings, loops, samples and music available under permissive licenses. It also provides a unified search interface. Cloudinary provides a cloud-based image, video and audio management solution to web and mobile developers. Its media full-stack (API & SaaS) platform lets developers upload, store, manage, manipulate and deliver media assets for optimal user experience on websites and apps. Miquido want to reward true creativity enablers who are driven by User-Friendly Thinking. Join the competition and reinvent music creation with Miquido! Generous London Fields Brewery prize for the Most Original Idea. Inspired by the original in-house Record Engineering Development Department of the 1950s to 1970s, Abbey Road Red was set up in 2015 to build relationships with those innovating around music and emerging technologies. Building on a long history of innovation at Abbey Road from the patenting of stereo in 1933 to artificial double tracking in the ‘60s, Abbey Road Red is Europe’s first ever incubation programme for audio tech start-ups. Now onto its 12th company the technologies and sectors its alumni have explored range from audio signal processing to machine learning, adaptive and generative composition, lyric visualisation, social creator marketing and more. Congratulations to the Hackathon Winners! Team members: Giorgia Cantisani (we met Giorgia at HAMMER hack in Paris during the ISMIR conference, where she won the Golden Ticket to Abbey Road Red Hackathon), Ondrej Cifka, Diego Di Carlo, Kilian Schulze-Forster,Tim Christian Kirby, Alejandro Delgado Luezas. Team members: Alex & Bridgette Powell, Pedro Leonardo Garlaschi, Rob Hyde, Glyn Hanmer. Team members: Tomasz Rudzki, Pedro Sanchez Alvarez, Ed Storey. Team members: Robert Blaauboer, Guillem Cortès Sebastià, Joe Munday. Team members: Aleix Claramunt, Kristian Ruud, Daniel Balcells, Enric Calabuig, Francesc Lluis, Aritad Choicharoon.